Hey there fellow party and craft enthusiasts! 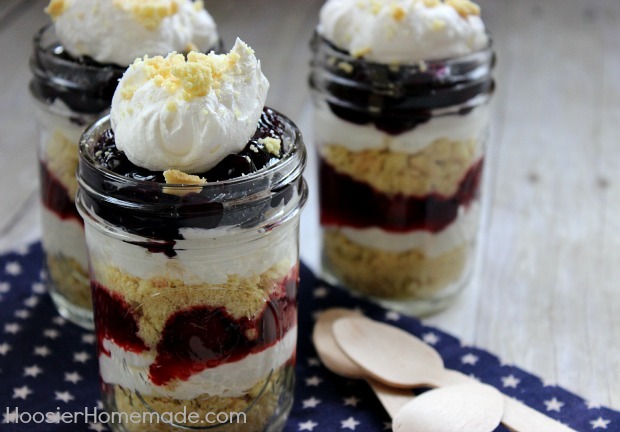 Last week we shared some great resources to get your Fourth of July plans off the ground, so this week we wanted to start talking menus… and more importantly simple and fun desserts! 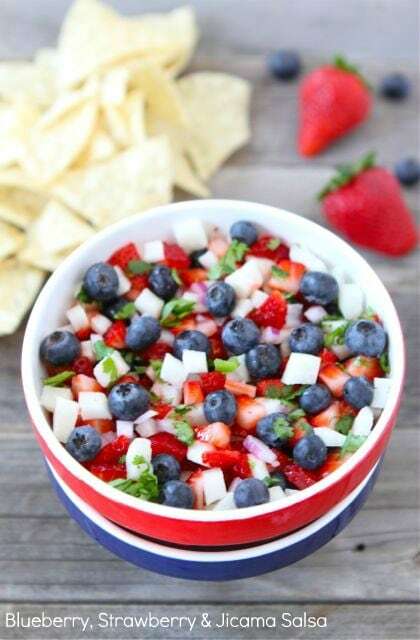 So check out these red, white, and blue recipes that will impress guests without much effort. Simple Cheesecake Tart – This five ingredient recipe comes from It’s Overflowing! How pretty and how simple. Who doesn’t love fresh berries and mini tarts? Prefer organic or vegan cheesecake? That’s a simple swap at the grocery store for organic or vegan substitutes! 5 Ingredient Cheesecake Tart – Image & Recipe from It’s Overflowing. 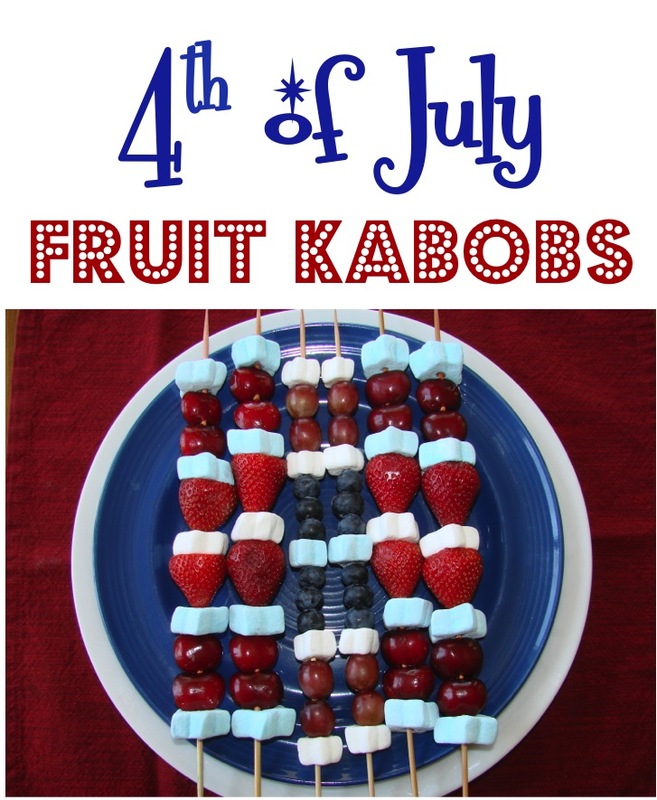 Fourth of July Fruit Kabobs – This recipe from The Frugal Girls is so simple, and the star marshmallows are just adorable! Spice it up (or should we say sweeten it up) by dipping your fruit in red, white and blue chocolate! Image & recipe by The Frugal Girls. 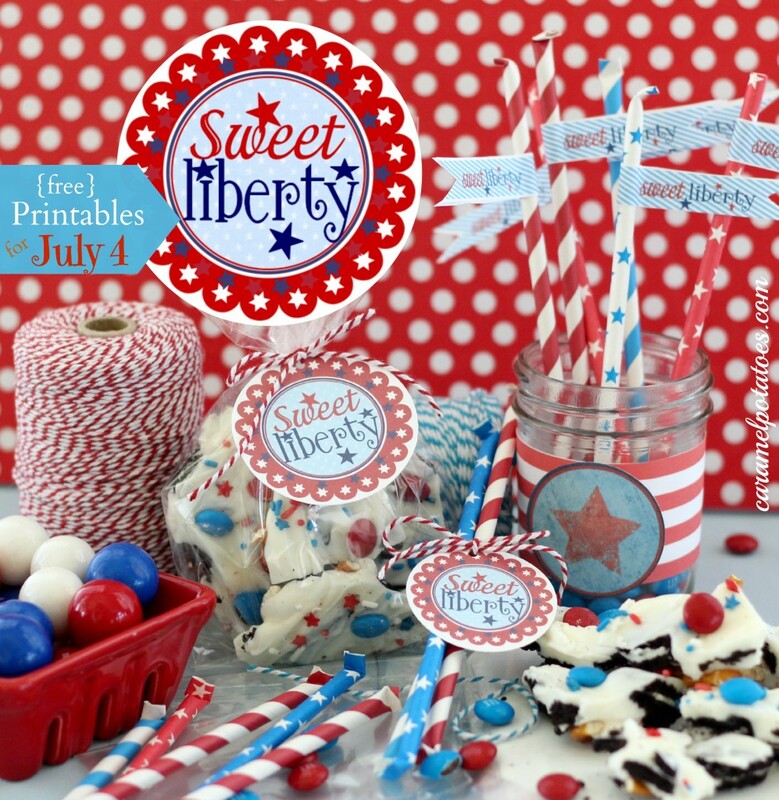 Easy Fourth of July Fireworks Cookie Pops – How cute are these cookie pops? Cake pops are yesterday’s news, this year make some of these cookie pops using this recipe from The Decorated Cookie! 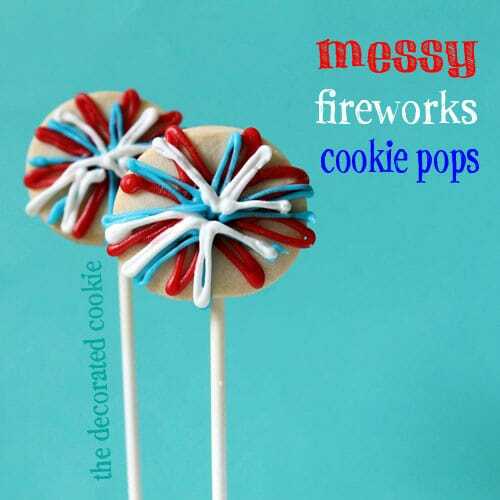 Easy Fourth of July Fireworks Cookie Pops – Image & recipe from the Decorated Cookie. 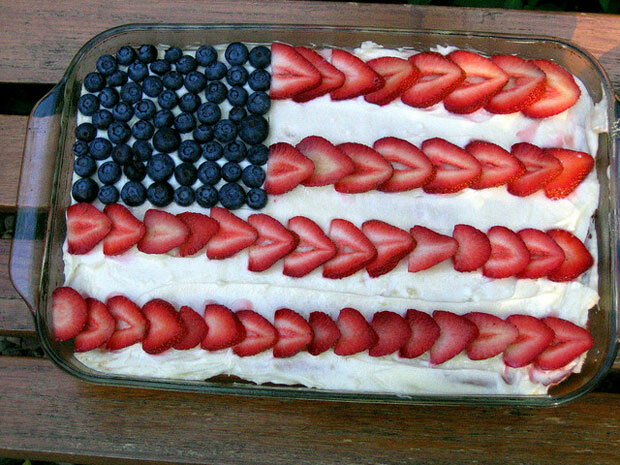 What is your favorite and simple recipe for the 4th? 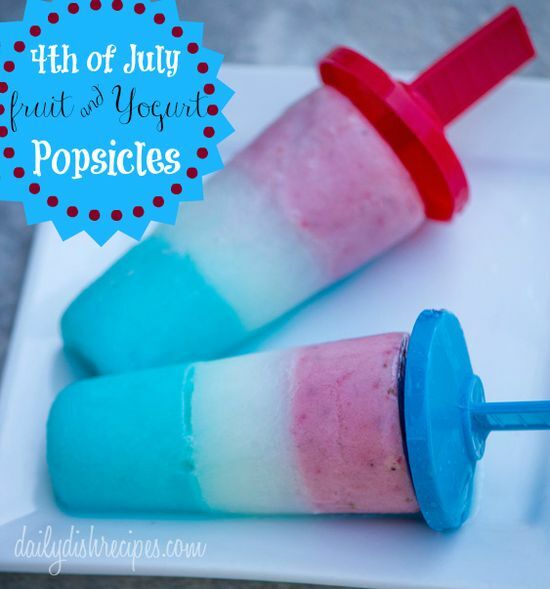 In honor of Independence Day, we’ve got another adorable recipe to celebrate with! This Red, White, & Blue Strawberry Shortcake hails from All Recipes, but we’ve added a few twists, and suggested some ingredients we like to help you get ready for your 4th of July Celebrations. 1 (18.25 ounce) package yellow cake mix – we like Cherrybrook Kitchen’s Yellow Cake Mix with organic and natural ingredients. They have a gluten free version too—about $2.80 a box for regular mix, and $5 a box for GF mix! 1 (8 ounce) container frozen whipped topping, thawed – give Trader Joe’s House Whip a try for only $1.99! 1 pint blueberries, rinsed and drained – organic and local is best. Check your local farmers market if you have one! 2 pints fresh strawberries, rinsed and sliced – same as the blueberries, organic and local is your best bet! Prepare the yellow cake according to package directions and bake in a 9×13 inch pan. Allow cake to cool completely. Once the cake has cooled, frost it with the whipped topping. 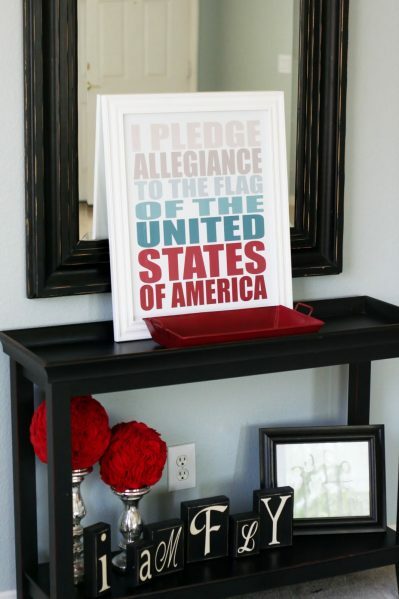 Place blueberries in a square in the corner, and arrange sliced strawberries as stripes to make an American flag. Chill until serving. Some people have sliced the cake midways (to create two layers) and sandwiched additional whip, or strawberry glaze, blueberries, and strawberries in the middle layer. More fruit is always a good option. Simply double the amount of whip and fruit you buy! Replace whip with LF or FF version for a lighter dessert. Swap yellow cake for chocolate or strawberry cake mix!